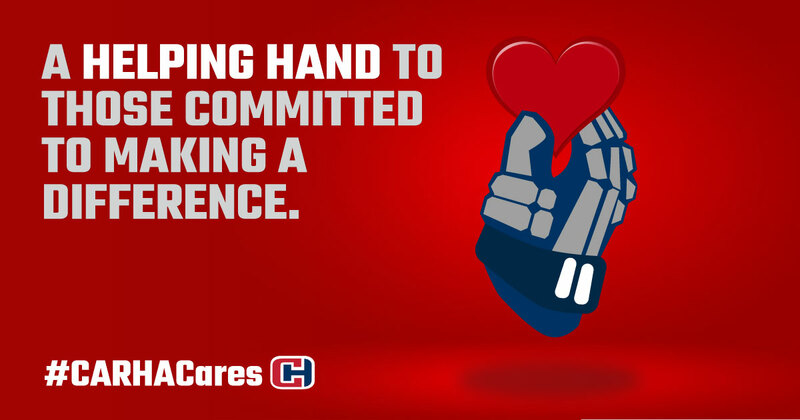 Over the past few weeks, we've asked you to share your stories of how your teams, leagues and tournaments contribute to charity and give back to the community, so we can show you that #CARHACares. We ultimately want to support the people in the hockey community across Canada that are doing amazing things to help those in need. The response from all of you has been incredible. We have heard your stories of food and clothing drives, charitable donations, memorial tournaments, fundraisers, and much more. It has been extremely inspiring to hear about all of the work you do to make this country a better place. CARHA Hockey is proud to show that #CARHACares with a $250 donation to a randomly chosen entry from all that we received over the past few weeks, and it's almost time for our winner to be announced. Keep your eyes on our Facebook page this week as we give some praise to the leagues, teams and tournaments across Canada that are doing amazing things, and announce our winner of the $250 donation to their cause! Keep doing the amazing things you're doing, because you are making a difference.